Liczba stron: 284 Jest to ujednolicona liczba stron, która ułatwi Ci porównanie długości książek. Każda strona Legimi to 200 słów. Lou and Nancy were chums. They came to the big city to find work because there was not enough to eat at their homes to go around. Nancy was nineteen; Lou was twenty. Both were pretty, active, country girls who had no ambition to go on the stage. The little cherub that sits up aloft guided them to a cheap and respectable boarding-house. Both found positions and became wage-earners. They remained chums. It is at the end of six months that I would beg you to step forward and be introduced to them. Meddlesome Reader: My Lady friends, Miss Nancy and Miss Lou. While you are shaking hands please take notice—cautiously—of their attire. Yes, cautiously; for they are as quick to resent a stare as a lady in a box at the horse show is. Lou is a piece-work ironer in a hand laundry. She is clothed in a badly-fitting purple dress, and her hat plume is four inches too long; but her ermine muff and scarf cost $25, and its fellow beasts will be ticketed in the windows at $7.98 before the season is over. Her cheeks are pink, and her light blue eyes bright. Contentment radiates from her. 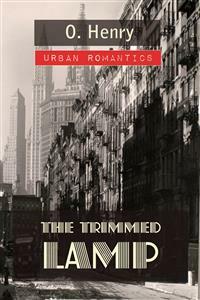 But just then Dan came—a serious young man with a ready-made necktie, who had escaped the city’s brand of frivolity—an electrician earning 30 dollars per week who looked upon Lou with the sad eyes of Romeo, and thought her embroidered waist a web in which any fly should delight to be caught. “My friend, Mr. Owens—shake hands with Miss Danforth,” said Lou. “Did you get that handshake from Mrs. Van Alstyne Fisher, Nance?” she asked. “If I did, you can feel safe in copying it,” said Nancy. The people she served were mostly women whose dress, manners, and position in the social world were quoted as criterions. From them Nancy began to take toll—the best from each according to her view. The other girls soon became aware of Nancy’s ambition. “Here comes your millionaire, Nancy,” they would call to her whenever any man who looked the rôle approached her counter. It got to be a habit of men, who were hanging about while their women folk were shopping, to stroll over to the handkerchief counter and dawdle over the cambric squares. Nancy’s imitation high-bred air and genuine dainty beauty was what attracted. Many men thus came to display their graces before her. Some of them may have been millionaires; others were certainly no more than their sedulous apes. Nancy learned to discriminate. There was a window at the end of the handkerchief counter; and she could see the rows of vehicles waiting for the shoppers in the street below. She looked and perceived that automobiles differ as well as do their owners. Two of the most “refined” women in the store—a forelady and a cashier—had a few “swell gentlemen friends” with whom they now and then dined. Once they included Nancy in an invitation. The dinner took place in a spectacular café whose tables are engaged for New Year’s eve a year in advance. There were two “gentlemen friends”—one without any hair on his head—high living ungrew it; and we can prove it—the other a young man whose worth and sophistication he impressed upon you in two convincing ways—he swore that all the wine was corked; and he wore diamond cuff buttons. This young man perceived irresistible excellencies in Nancy. His taste ran to shop-girls; and here was one that added the voice and manners of his high social world to the franker charms of her own caste. So, on the following day, he appeared in the store and made her a serious proposal of marriage over a box of hem-stitched, grass-bleached Irish linens. Nancy declined. A brown pompadour ten feet away had been using her eyes and ears. When the rejected suitor had gone she heaped carboys of upbraidings and horror upon Nancy’s head. “The physiopathic ward for yours!” said the brown pompadour, walking away. These high ideas, if not ideals—Nancy continued to cultivate on $8. per week. She bivouacked on the trail of the great unknown “catch,” eating her dry bread and tightening her belt day by day. On her face was the faint, soldierly, sweet, grim smile of the preordained man-hunter. The store was her forest; and many times she raised her rifle at game that seemed broad-antlered and big; but always some deep unerring instinct—perhaps of the huntress, perhaps of the woman—made her hold her fire and take up the trail again. Lou flourished in the laundry. Out of her $18.50 per week she paid $6. for her room and board. The rest went mainly for clothes. Her opportunities for bettering her taste and manners were few compared with Nancy’s. In the steaming laundry there was nothing but work, work and her thoughts of the evening pleasures to come. Many costly and showy fabrics passed under her iron; and it may be that her growing fondness for dress was thus transmitted to her through the conducting metal. To Nancy’s superior taste the flavor of these ready-made pleasures was sometimes a little bitter: but she was young; and youth is a gourmand, when it cannot be a gourmet. “Caught your millionaire yet?” asked Lou with her teasing laugh. As for Nancy, her case was one of tens of thousands. Silk and jewels and laces and ornaments and the perfume and music of the fine world of good-breeding and taste—these were made for woman; they are her equitable portion. Let her keep near them if they are a part of life to her, and if she will. She is no traitor to herself, as Esau was; for she keeps he birthright and the pottage she earns is often very scant. In this atmosphere Nancy belonged; and she throve in it and ate her frugal meals and schemed over her cheap dresses with a determined and contented mind. She already knew woman; and she was studying man, the animal, both as to his habits and eligibility. Some day she would bring down the game that she wanted; but she promised herself it would be what seemed to her the biggest and the best, and nothing smaller. Thus she kept her lamp trimmed and burning to receive the bridegroom when he should come. But, another lesson she learned, perhaps unconsciously. Her standard of values began to shift and change. Sometimes the dollar-mark grew blurred in her mind’s eye, and shaped itself into letters that spelled such words as “truth” and “honor” and now and then just “kindness.” Let us make a likeness of one who hunts the moose or elk in some mighty wood. He sees a little dell, mossy and embowered, where a rill trickles, babbling to him of rest and comfort. At these times the spear of Nimrod himself grows blunt. So, Nancy wondered sometimes if Persian lamb was always quoted at its market value by the hearts that it covered. One Thursday evening Nancy left the store and turned across Sixth Avenue westward to the laundry. She was expected to go with Lou and Dan to a musical comedy. Dan was just coming out of the laundry when she arrived. There was a queer, strained look on his face. “I thought I would drop around to see if they had heard from her,” he said. “Hasn’t anybody seen her anywhere?” asked Nancy. Dan looked at her with his jaws set grimly, and a steely gleam in his steady gray eyes. For the first time Nancy quailed before a man. She laid her hand that trembled slightly on Dan’s sleeve. “I didn’t mean it that way,” said Dan, softening. He fumbled in his vest pocket. Nancy admired pluck whenever she saw it. “I’ll go with you, Dan,” she said. Three months went by before Nancy saw Lou again. At twilight one evening the shop-girl was hurrying home along the border of a little quiet park. She heard her name called, and wheeled about in time to catch Lou rushing into her arms. After the first embrace they drew their heads back as serpents do, ready to attack or to charm, with a thousand questions trembling on their swift tongues. And then Nancy noticed that prosperity had descended upon Lou, manifesting itself in costly furs, flashing gems, and creations of the tailors’ art. And then Lou looked, and saw that something better than prosperity had descended upon Nancy—something that shone brighter than gems in her eyes and redder than a rose in her cheeks, and that danced like electricity anxious to be loosed from the tip of her tongue. Around the corner of the park strolled one of those new-crop, smooth-faced young policemen that are making the force more endurable—at least to the eye. He saw a woman with an expensive fur coat, and diamond-ringed hands crouching down against the iron fence of the park sobbing turbulently, while a slender, plainly-dressed working girl leaned close, trying to console her. But the Gibsonian cop, being of the new order, passed on, pretending not to notice, for he was wise enough to know that these matters are beyond help so far as the power he represents is concerned, though he rap the pavement with his nightstick till the sound goes up to the furthermost stars. To Carson Chalmers, in his apartment near the square, Phillips brought the evening mail. Beside the routine correspondence there were two items bearing the same foreign postmark. One of the incoming parcels contained a photograph of a woman. The other contained an interminable letter, over which Chalmers hung, absorbed, for a long time. The letter was from another woman; and it contained poisoned barbs, sweetly dipped in honey, and feathered with innuendoes concerning the photographed woman. Chalmers tore this letter into a thousand bits and began to wear out his expensive rug by striding back and forth upon it. Thus an animal from the jungle acts when it is caged, and thus a caged man acts when he is housed in a jungle of doubt. By and by the restless mood was overcome. The rug was not an enchanted one. For sixteen feet he could travel along it; three thousand miles was beyond its power to aid. Phillips appeared. He never entered; he invariably appeared, like a well-oiled genie. “Will you dine here, sir, or out?” he asked. “Here,” said Chalmers, “and in half an hour.” He listened glumly to the January blasts making an Aeolian trombone of the empty street. “W-w-which—,” began Phillips, stammering for the first time during his service. It was an unusual thing for Carson Chalmers to play the Caliph. But on that night he felt the inefficacy of conventional antidotes to melancholy. Something wanton and egregious, something high-flavored and Arabian, he must have to lighten his mood. On the half hour Phillips had finished his duties as slave of the lamp. The waiters from the restaurant below had whisked aloft the delectable dinner. The dining table, laid for two, glowed cheerily in the glow of the pink-shaded candles. And now Phillips, as though he ushered a cardinal—or held in charge a burglar—wafted in the shivering guest who had been haled from the line of mendicant lodgers. It is a common thing to call such men wrecks; if the comparison be used here it is the specific one of a derelict come to grief through fire. Even yet some flickering combustion illuminated the drifting hulk. His face and hands had been recently washed—a rite insisted upon by Phillips as a memorial to the slaughtered conventions. In the candle-light he stood, a flaw in the decorous fittings of the apartment. His face was a sickly white, covered almost to the eyes with a stubble the shade of a red Irish setter’s coat. Phillips’s comb had failed to control the pale brown hair, long matted and conformed to the contour of a constantly worn hat. His eyes were full of a hopeless, tricky defiance like that seen in a cur’s that is cornered by his tormentors. His shabby coat was buttoned high, but a quarter inch of redeeming collar showed above it. His manner was singularly free from embarrassment when Chalmers rose from his chair across the round dining table. Plumer, of the ruffled plumes, bent his knee for Phillips to slide the chair beneath him. He had an air of having sat at attended boards before. Phillips set out the anchovies and olives. “The situation does not seem a novel one to you,” said Chalmers with a smile.